As a player collector, I have enjoyed seeing threads devoted to one person's passion for collecting a particular player, such as David W's Lou Brock collection. It surprises me that we don't see more threads like this, so I thought I'd start one on my favorite post-war player to collect. Why Roberto? When I started collecting in the mid 1970s, I traded cards with other kids at school during recess. I remember a classmate bragging that he had a Roberto Clemente card, but I had no idea who he was. When my Dad came home from work that day, I asked him if Roberto was a good player. I remember him telling me how he was a great all-around player and that he died in a tragic plane crash. 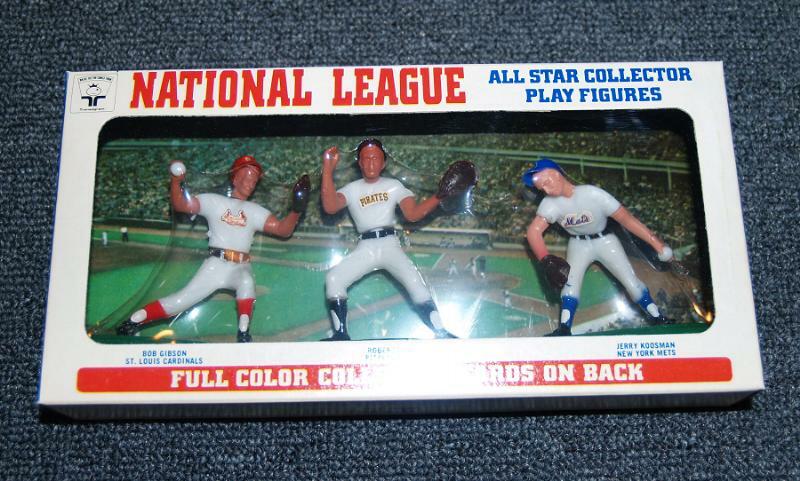 I tried several times to trade for that Clemente, but I was never able to pry it out of my classmate's hands. A few years later, at my first card show, my Dad bought me my first Clemente card (1968 Topps) along with a Mantle and Mays from the same year. I didn't start seriously collecting RC until the early 90's. In the beginning I wasn't too concerned with condition and for the most part I'm still not. So you won't see any PSA 9's, but hopefully over the course of the next year you'll see some items that you haven't seen before. I will post things randomly to mix it up a bit and, for the most part, post items from his playing days, although there will be some newer items I like. Hope you enjoy. To start things off, on my birthday this year, my oldest daughter asked my neighbor (an amateur painter) to create this painting for me. I wanted to pick a symbolic photo of him so I picked Roberto tipping his cap after his 3,00th hit. I think the result is incredible especially since my neighbor said she doesn't really paint in detail. It's water color on artist's paper using only 4 pigments. Last edited by docpatlv; 12-31-2017 at 01:41 PM. Love the painting. The artist did a great job. I am a HS art teacher. A+. I also love the idea for a Clemente thread. What a great player and role model. I am sure a lot if great pieces will be posted. 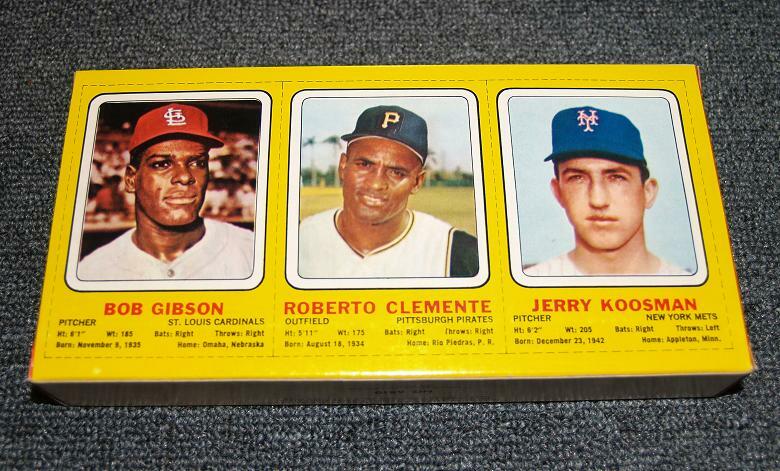 I love the odd ball Clemente cards. Last edited by quitcrab; 12-31-2017 at 11:22 AM. Agreed I love following DBesse27 Yaz thread. The Brock thread is great too. Personally I’d like to see someone do a Brooks Robinson, maybe Mark70Z. I have the feeling he has a killer B. Robinson collection. Definitely looking forward to following this Clemente thread. Also enjoyed seeing the painting. I'll be checking into this thread, and will also be impressed that you have 365 different Clemente items to show. I’m not the best person with the computer thing, and I don’t have a scanner. My pictures that I’m posting currently are too small and I don’t know what I’m doing wrong, but it’s something. 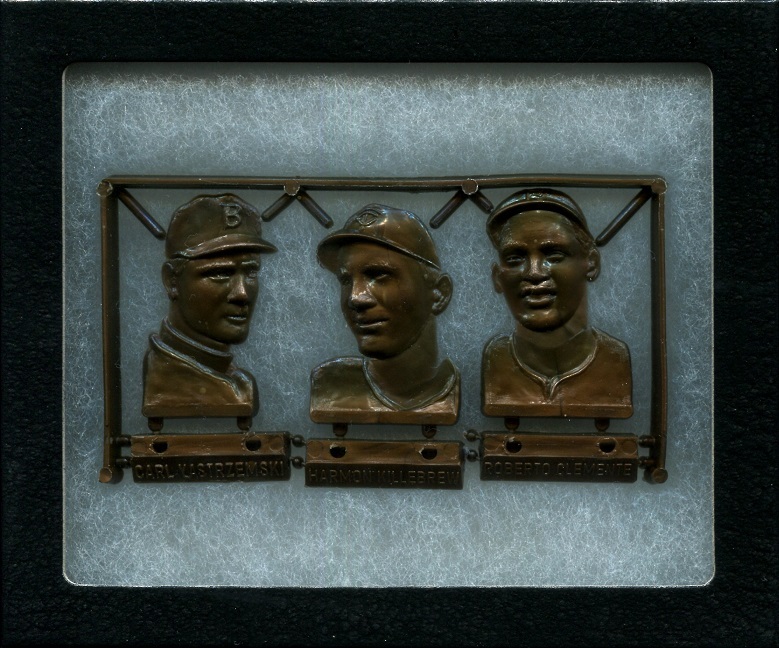 If I can get the picture thing better I can give it a shot at a Brooks thread, something like Brock, Yaz and there’s one on Mantle. I’m with the OP that I love threads like that no matter who the player is that’s posted. By the way I have a decent Brooks collection, but there are far better out there I’m sure. I don’t think I can do one that’s everyday, but I sure look forward to the one on Clemente that’s for sure! I’m like you in that I enjoy viewing others player collections and the passion they have for the particular player. I also enjoy hearing the reason they ultimately chose the player they collect. Thanks for giving some background on why you chose Clemente; he’s a great one. I can’t answer why other people don’t post their player collections, but for me it’s mainly the computer thing; just not good at it. With some help I may give it a try with a Brooks Robinson thread. Sure do look forward to viewing 364 more Clemente items! Thanks for the kind words fellas. I just wanted to add that I realized a long time ago that I will never have everything. I’m perfectly fine with losing out on items, whereas in the past it would have bothered me. Once I had kids, my priorities changed. I’m happy picking up pieces here and there nowadays. This next item was always a Holy Grail piece of memorabilia for me. One of the items I really wanted when I was younger. I purchased it at one of the old Fort Washington shows probably close to 20 years ago. It's in great shape, the only problems are a small defect in the "E" in Pirates and the signature decal. It seems as though when it was applied, the right side folded over. Other than that, no cracks or chips. Really tough nodder to find in nice condition. I purchased this photo in 1996 from Ed Dolan's Baseball Fanatic Super Store in New Jersey. When I brought it home later that day I remember my girlfriend (now my wife) saying..."You spent HOW much on that photo?!?!?" 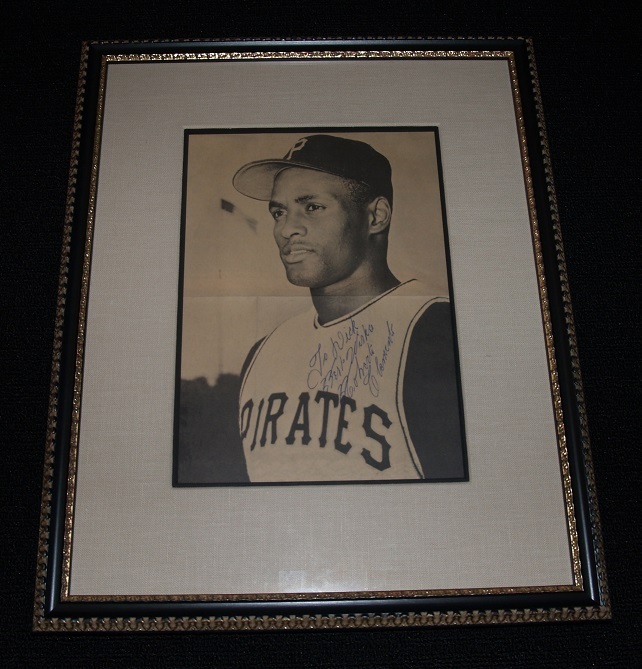 1960s Roberto Clemente signed photo. Looking forward to this thread. Clemente is my all-time favorite. I was 8 when he was killed and remember it on a gut level the way others remember the JFK assassination. I recently posted a pic of my Clemente card collection on another thread. Here’s a pic of one of my favorite Clemente items — the 1967 Dexter Press photo. Thought it couldn’t get much better than the nodder, but then you break out the signed Roberto photo; that is just awesome! That’s a nice Dexter Press. Mine is in lesser condition (I’ll post it at some point), not sure why I never upgraded. I guess there’s just always something else to purchase. I love that this thread was created. I love collecting Clemente. I will contribute some images as the thread continues. Check out this ultra rare 1971 Pin - It was originally going to be part of an MLB licensed issue, but for unconfirmed reason never made it to licensed. Just a few of them got out. I have seen 3-4 of the pins in 30 years collecting. Very nice Howard! That’s one I still don’t have. Great thread! I love that autographed photo. 365 unique items in a single thread is quite a feat. In an attempt to avoid the stealing of your thunder, and stepping on your thread, I will limit my periodic additions to items I think are at least a bit scare. 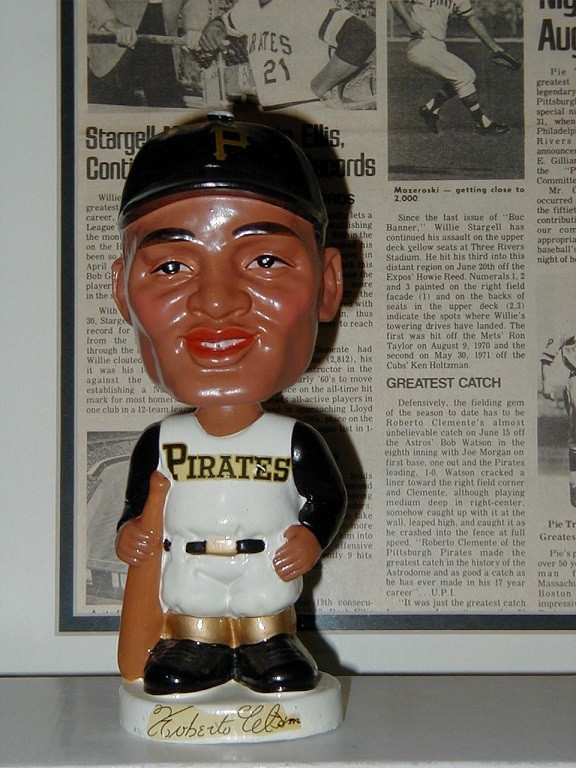 I had this Willie Stargell ceramic bank and had heard that there was a Clemente version. However, after years of searching, I never found concrete evidence of its existence. I began to think it was the stuff of a hobby urban legend. That is until Howard confirmed it was a reality by sharing a photo of his. Ironically I found one shortly thereafter. Isn't that the way it always seems to work? The Clemente bank is on the right. I have only seen three of these Clemente banks. This tally includes Howards and my own. They are made of ceramic and stand about 12" tall. There is not a plug that can be used to remove the coins. The only way to retrieve the money was to literally break the bank which likely explains their scarcity. PS: Howard I picked up one of those buttons in an auction out of Minnesota a couple of months ago so you can add to your total known to exist. Mine is of the facsimile signed version. I believe you said there is an unsigned one as well? If you have any 1971 Pirate regular season game stubs (home or away games) please let me know what have! Those are great busts Mike! That's another item I don't have...sigh. I first saw this item around 1994 at the Fort Washington show. The dealer only had the single Clemente and was asking $900. I was still in school at the time so that was a little too rich for my blood. Thanks to the Mile High find, I was able to add this next item to the collection. I posted a couple of scans to better show the detail. Some don't think they resemble the players well, but I think, at least in this instance, Roberto is accurately portrayed. There are also 3 versions of the busts- The originals were done in 1973 (that's the one you have), They were recasted in gold in 1988 (I think) and then done again in color - I forget the year. The originals are super tough! Anyone know how to easily resize an image? Please PM me - I have a lot of images - most of them too big to upload. 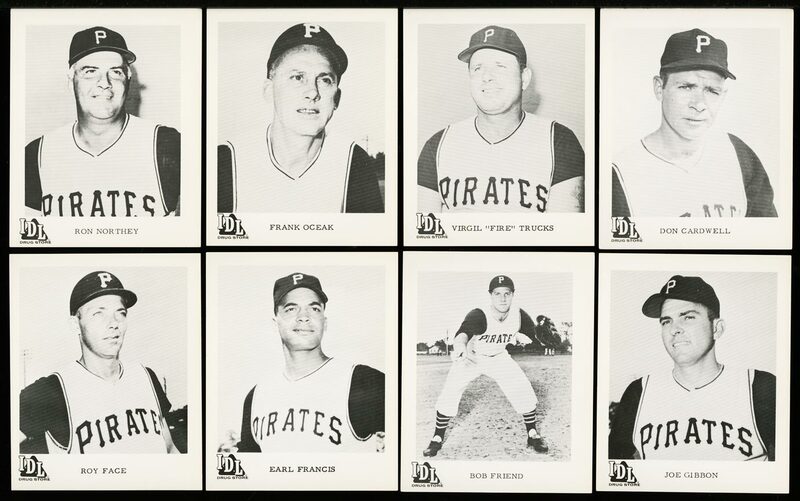 Check out this SUPER rare 1956 Pirates team issued 5x7. Last edited by hcv123; 01-03-2018 at 10:55 PM. That is a great photo! 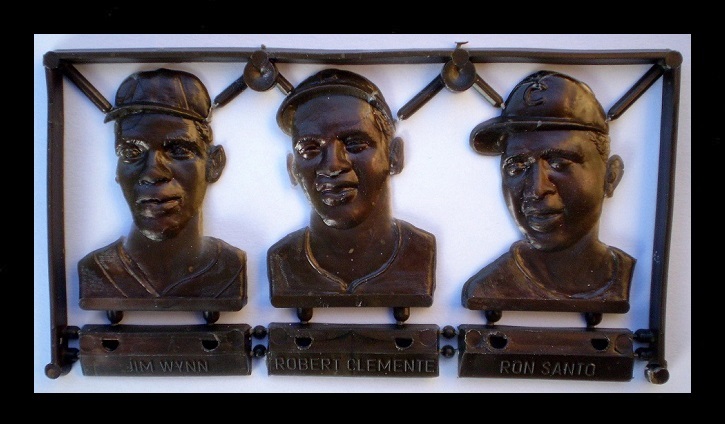 I like to think that I have seen most Clemente items, but I have never seen that photo before. This is one of the other Plak panels that Howard was referring to above. 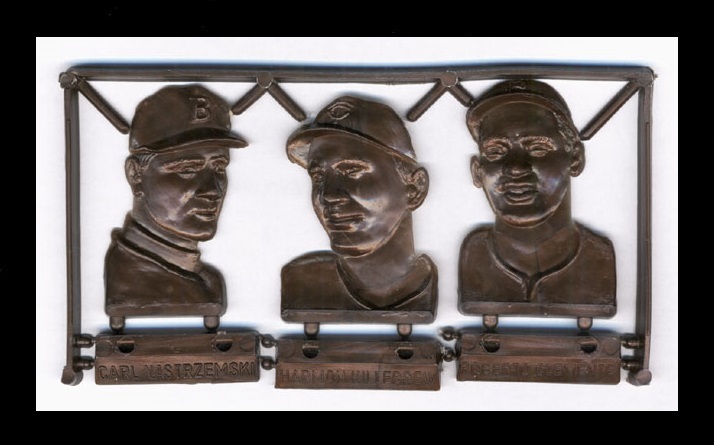 There is one other panel combination that I don't have and that is the Kaline-Clemente-Yastrzemski. One interesting thing is how they changed Roberto's name on each of the base plates. The panel I posted on Day 4 has Roberto Clemente, this next one has his name as Robert Clemente, and the last has his name as R. Clemente. I was able to pick up this panel on eBay about a year after I purchased the first one. You can tell that there were some modifications made between the panels (notably in the shoulder area). I'm assuming that the Mile High find consisted of prototypes. The Plaks that made it out to the public also seem to be on thicker sprues. Last edited by docpatlv; 01-04-2018 at 08:32 AM. 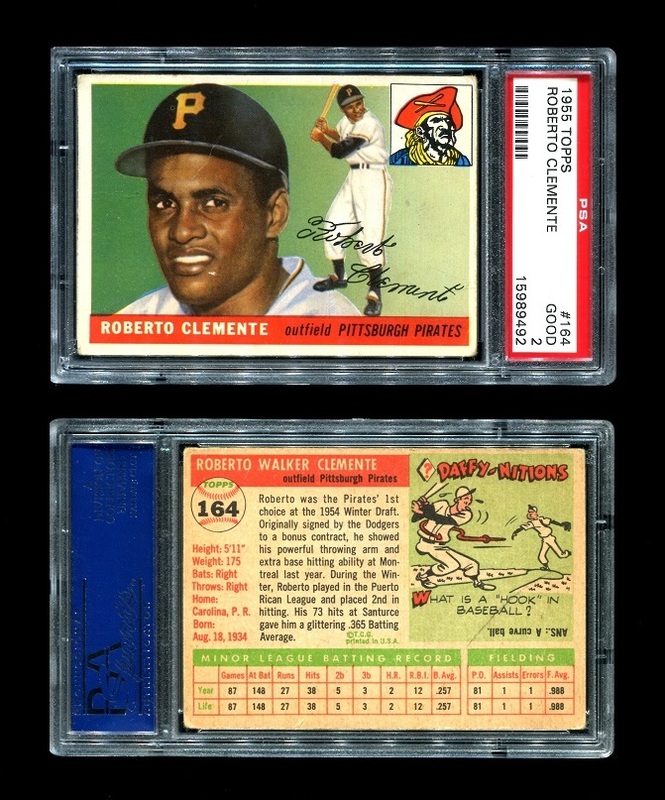 Interesting - I knew about the "Clement" and "Clemente" differences, never realized the "R" and "Roberto". I had such a hard time spending "real" money on these as they are so darn ugly!! I still only have 1 single (from before the find) and 1 3 player sprue (and I'm done with them at that). The photos I am posting today I know little about and have been unsuccessful in getting any information about them. If anyone has any please do share. The person I purchased them from said they were acquired during spring training 1960. 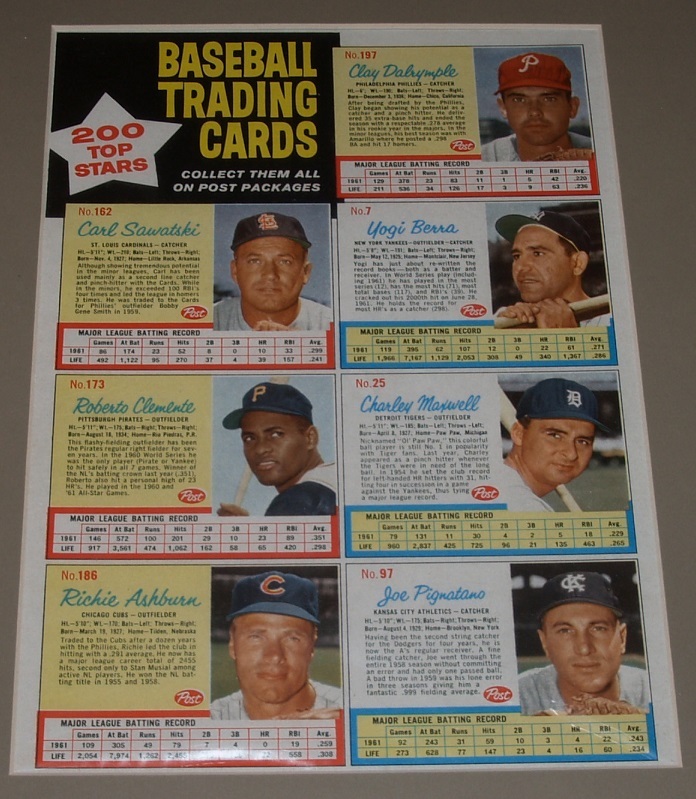 They are on a medium weight cardboard stock and are about the size of 1975 topps mini's. As you can see they appear to be hand cut. I have not had them authenticated, but believe the signatures to be legit. That photo would fit in most peoples collection, including mine. Howard, have never seen those before. Maybe cut from an advertising sheet? Thanks Dale, it's tough to find larger sized autographed photos of Roberto with a nice, clean signature. Sometimes you can still find great items at small card shows. I don't make it to too many card shows anymore, but I found this at a local mall show years ago. 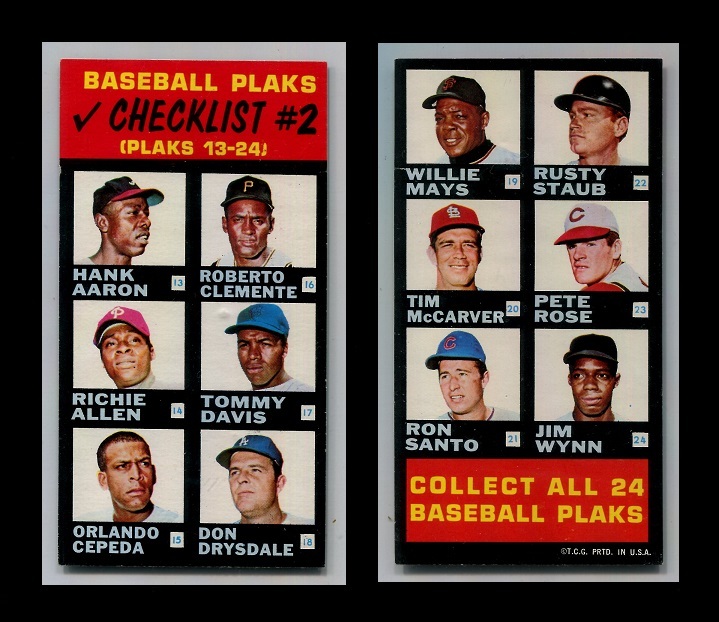 1968 Topps Plak Checklist # 2 (National League). Tough item to find, may even be tougher than finding some of the Plaks themselves. Last edited by docpatlv; 01-05-2018 at 09:39 AM. While I’m not that crazy about the Plaks; always thought they were a tad bit ugly (they’ve grown on me over the years). 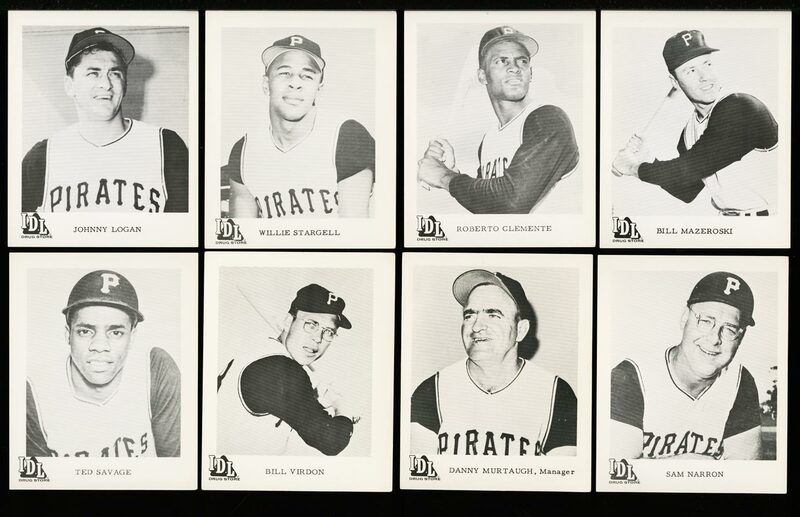 The Clemente doesn’t look half bad and I’d guess I’d go after the Plaks if Brooks, the player I collect, was part of the grouping. Now the checklists are a totally different story; one of my favorites! Think they look so cool with all the different players pictured, in color, both front and back. Yours looks great; thanks for sharing. Like was mentioned in previous post - the Plak checklist is SOOO much nicer than the Plak's. 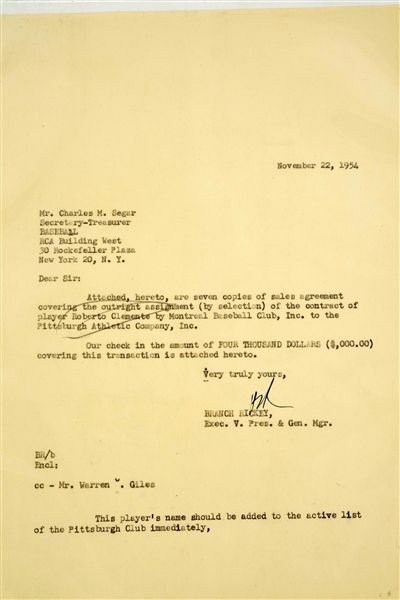 If I remember correctly there was some type of checklist proof or variation that sold in the Halper auction - I was an underbidder - anyone have a photo of or know where that went? 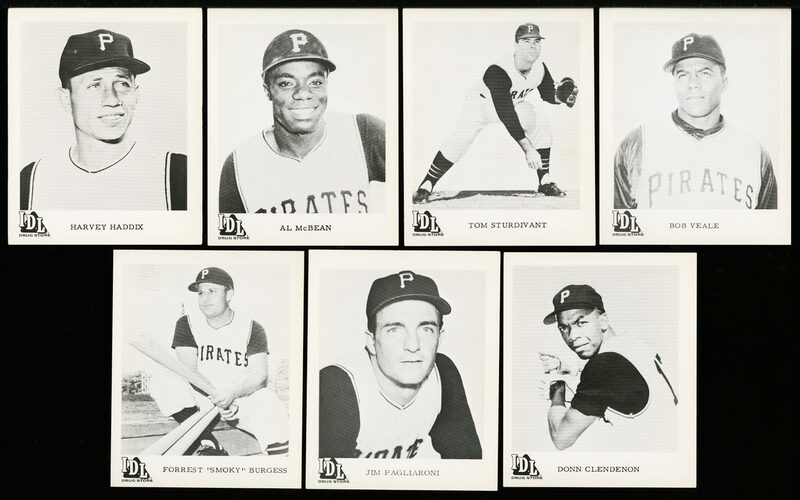 So about the image I am posting today: Horne's department store was a big pirates sponsor throughout at least the 50's and 60's that I am aware. There are a number of Pirate team items showing Horne's as the sponsor/producer. 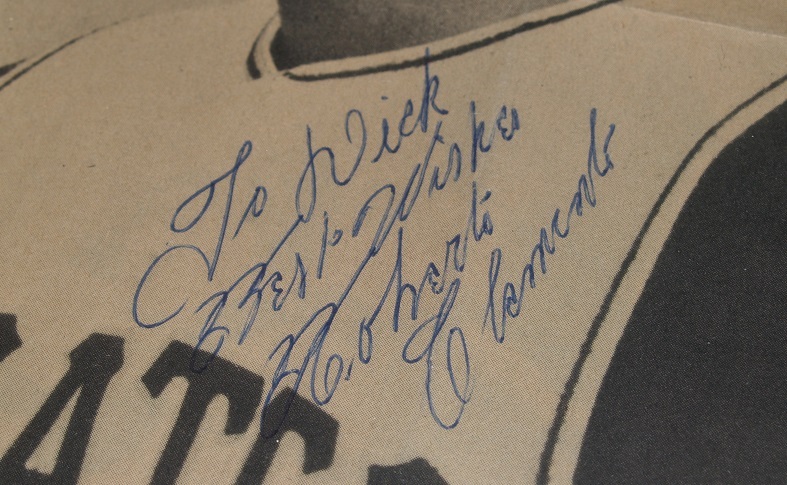 For the first time a few years ago I saw an autographed black and white photo of a Pirate's player from 1958 - dated and printed - saying it was from the players appearance at Horne's department store. I figured they would have advertised the appearance. I found digitally reproduced copies of the Pittsburgh papers from the week before the appearance (with the help of a fellow board member). I found an advertisement for the appearance. I then surmised that there would be a good likelihood that Clemente probably appeared at some point! Heart racing - I checked papers as far back as 1955 and went through 1962 (when ads stopped appearing). I don't recall, nor would I likely admit how much time I spent looking, but I found an ad mentioning an appearance by Clemente on September 15, 1960. A new item was added to my wantlist. 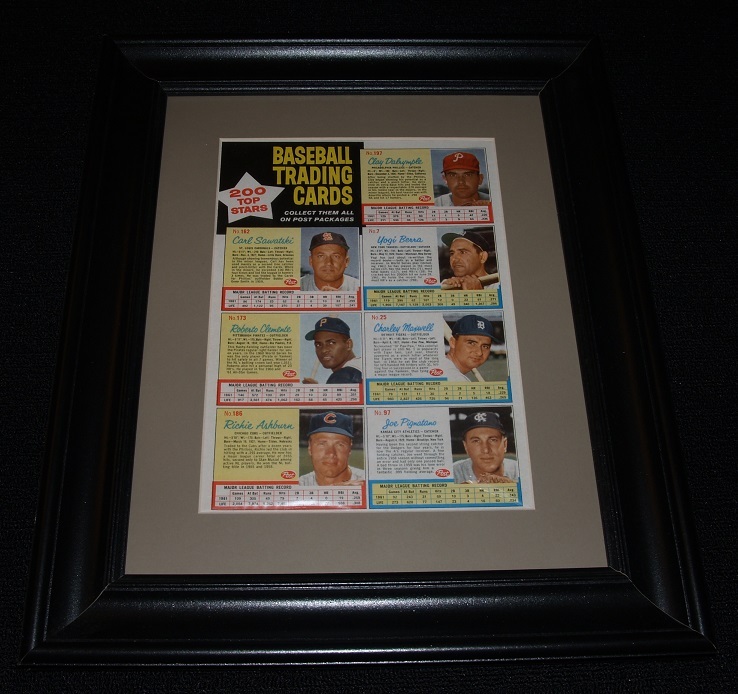 Last year while searching the completed listings of ebay, I found a Clemente (not autographed) that had sold I had never seen the item before and it slipped away. I did what any die hard collector would - I contacted the seller and asked him to contact the buyer on my behalf offering to double his money - no response. Damn. A few months later another pops up offered by the same seller - Thankfully the seller responded very quickly to my "best offer" saving me a few bucks in the process. 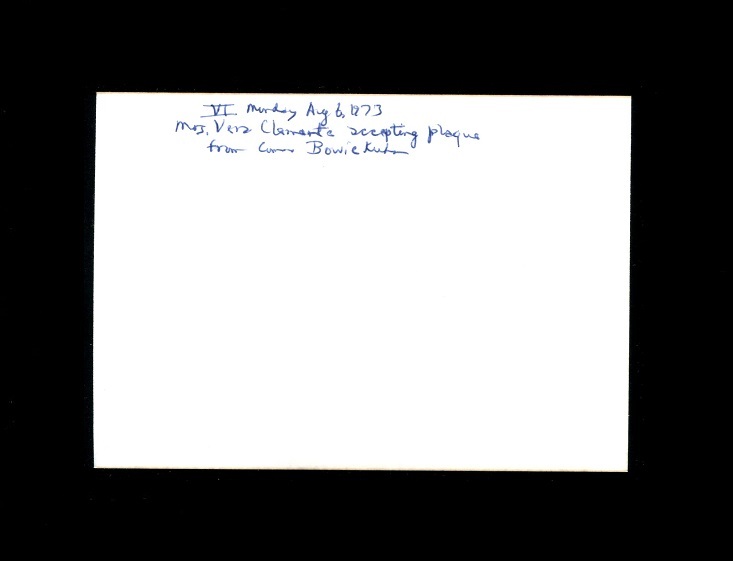 The signature is facsimile. The things we do for our collections!! Last edited by hcv123; 01-05-2018 at 06:36 PM. Awesome Howard! What a fun thread. 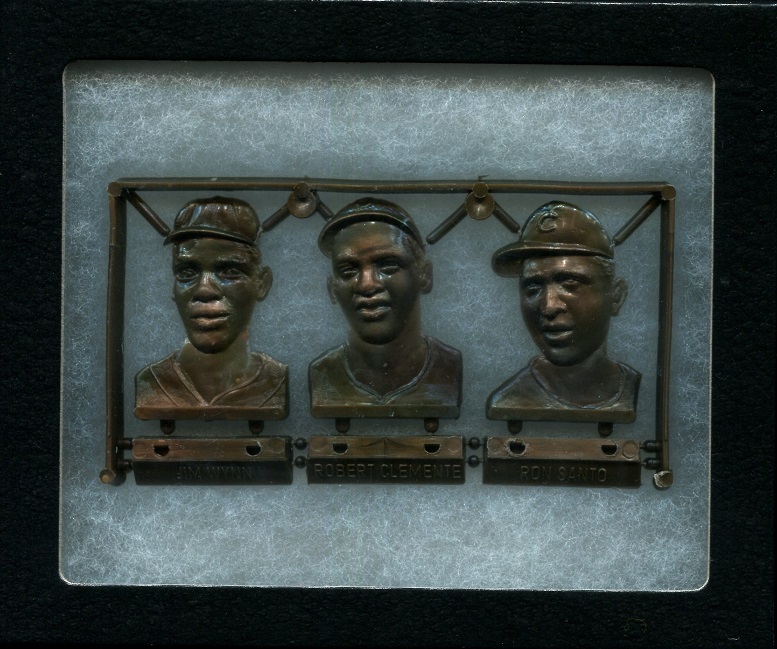 You’ve already posted two Clemente items I’ve never seen; very cool! Not only is this thread great with all the interesting Clemente items, but the background is so very interesting as well. This is actually the second to the last regular issue Topps card I picked up. Not sure why it took so long, I guess I just have a hard time paying for a card that is readily available. I'd rather spend more for the rare items. Not high grade, but good enough eye appeal for me. The best part is that it was actually purchased using eBay Bucks (when you used to get a decent percentage on purchases). I picked up the next item off of eBay many years ago. Great shape with no creases. I have seen a few of these pop up on eBay over the last year. I guess I just have a hard time paying for a card that is readily available. I'd rather spend more for the rare items. I am 1000% with you on that one Mike. Still need to fill in most of the regular issue Topps cards in my master set. Interestingly his rookie was the first card I purchased of Clemente back around 1980 - it was the beginning of my Clemente collection. Yes, I still have it and I don't think I want to have it graded - probably purchase a different one for my master set! So the image below at first glance looks like a 1967 Topps pinup. When you look a little closer - it is actually printed on sticker stock similar to the 1967 Pirate Test Stickers and 1968 Action all star stickers. It also is missing a number. I have had it under high magnification and shown it to numerous people - it is not a copy , but an original and no one has been able to say they have ever seen another - likely a one of a kind prototype during Topps experimental days!! I have not had the autograph looked at for authenticity. I have posted it before, but believe it is most at home in this thread. That's a rare one there Howard! However, it's only fitting that it should belong to a Mike...lol. What size is it, and if you don't mind me asking, where did you find it? Doc, I am loving this thread. I very much look forward to watching it progress throughout the year. I have two favorite baseball players-Robin Yount, and Roberto Clemente. Unfortunately, Roberto died much too young for me to ever see him in person. But I read or watch anything and everything I can find about the man. I only have a few of his Topps cards, but when I can start working on my collection again in a few months, I plan on building my Clemente collection. You'll inspire me! Had been trying to track down this next item for a while, purchased it as part of a near set earlier this year. Missing only Skinner, which I'll probably never get. You're probably right Larry. I don't actively search for it, but if you haven't seen it, then I doubt it exists. Do you remember what you paid for your Clemente RC? My first one I paid 1.00 for I'm the 70s. When I got back into the hobby in 1984 after taking a few years off, they were 75. I noticed and thought about that after I posted If I recall correctly the same or about the same size as pinup. It came from a contact out of Pittsburgh. Oh, I remember very well what "I" paid for mine - my price was about 45 minutes of crying, pleading, cajoling, negotiating, etc. to get my dear mother God rest her soul to shell out $48 for it (It was listed at $86 in CPU at the time). That card was (and is) coveted! Have plenty worth more $, but that one is still my "most valuable"! The letter sent by Branch Rickey and the Pirates to the Montreal Royals the day that they drafted Clemente away from them in 1954. It is dated the day of the draft. AWESOME letter Tom! Thanks for sharing it. This is probably one of my favorite photos of Clemente and it doesn't even picture Roberto. A bittersweet day this must have been, the expression on her face tells all. Last edited by docpatlv; 01-09-2018 at 10:32 AM. Love that snap shot. If you ever want to move it I'm your guy. Whoever took that pic had a great seat! Purchased this next item off eBay, tough to find especially in nice condition. This one looks like it came right off the shelf. The resemblance of these statues to the players is uncanny...lol, but for some reason I like these. Maybe it's the package as a whole with the stadium scene in the background and cards on the back. Thank you Jason. Funny thing is, I bought this from a seller many years ago, but after my experiences with him at shows over the years, I would never spend another dime with him. Last edited by docpatlv; 01-10-2018 at 10:05 AM. 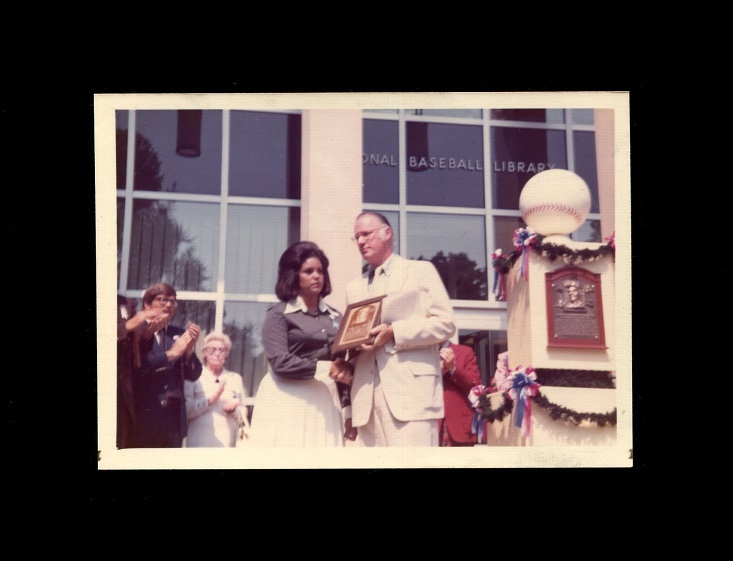 Here is a Type 1 photo of Roberto and Vera during happier times on Roberto Clemente Night at Shea Stadium on September 24, 1971. Last edited by 71buc; 03-31-2018 at 12:30 AM.